The Supreme Court bench of Chief Justice Dipak Misra and Justices A M Khanwilkar and D Y Chandrachud on Thursday (April 19), hearing the plea seeking independent probe into the mysterious death of Justice B H Loya who was handling the Sohrabuddin Sheikh case, ordered that there was no merit in the case and that the case was dismissed. Official records say that Judge Loya – the special CBI judge who was overseeing the investigation of the Sohrabuddin fake encounter case in which BJP president Amit Shah was an accused – died of cardiac arrest in Nagpur in 2014. He said: “It is the duty of the court to look into the fact (as to) which PIL is genuine and which one is filed under the facade of political activity. He further mentioned certain important submissions of senior counsels Indira Jaising, V Giri, Prashant Bhushan and Dushyant Dave. He said that Bhushan had once made the statement that justice Chandrachud and justice khanwilkar have been judges of the Bombay High Court and knew the judicial officers and might face a similar danger. 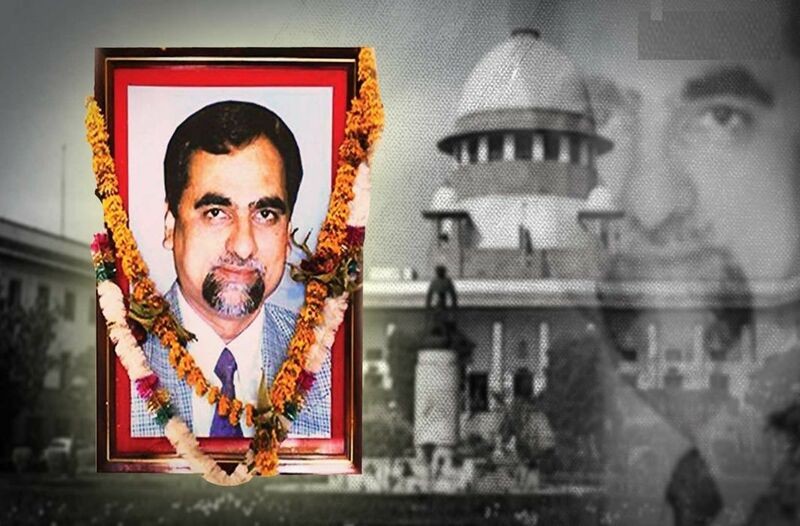 Three years ago of Judge B H Loya, who was presiding over the CBI court in the Sohrabuddin Sheikh fake encounter case died under mysterious circumstances. Loya, who was staying at the Ravi Bhavan VIP guest house in Nagpur at the time, complained of chest pain at around 4 am and was taken to Dande Hospital. Loya was given some medicines there and then shifted to another private hospital, Meditrina, where he died (declared brought dead). Two petitions were filed, respectively, by Tehseen Poonawalla, who claims to be a “political trendsetter” on his Twitter profile, and Bandhuraj Sambhaji Lone, who has been referred to in the media as a journalist from Maharashtra. The backgrounds of the petitioners, and the manner in which the petitions have been listed and heardsup since they were clubbed together on 12 January. On the day that it was filed, Lone’s petition was mentioned before Chief Justice Dipak Misra, who agreed to hear the matter the very next day—the same day that the Bombay High Court petition was also listed for hearing. On January 12, the Bombay High Court heard the petition pending before it and listed its next hearing on January 23. Also on January 12, the Supreme Court heard Lone’s petition, which it clubbed together with Poonawalla’s petition. The same day, four senior judges of the Supreme Court held an unprecedented press conference to express their dissatisfaction with the chief justice allocating specific cases to specific benches. On January 19, the cases were again mentioned and heard by the chief justice’s court. Thereafter several days hearing was made by the Supreme Court bench. CBI special Judge Brij Mohan Loya died under suspicious circumstances in the November 30-December 1, 2014 night. The details of the death of a judge, who was deep into the Sohrabuddin Seikh fake encounter death case related to the Gujarat riots and in which BJP President Amit Shah (who was then home minister in the state of Gujarat) is one of the accused, makes for a thriller-like reading. The case same back to the limelight when Caravan magazine published an investigative story on February 11 which brought out several discrepancies and oddities in the death of the judge that had never been considered or had simply been glossed over. The issue became so big and contentious that the Supreme Court agreed to hear depositions made by several people in this, wanting to reopen the full case and asking for a Special Investigating Team (SIT) to be set up in the case. India Legal, which has been following the minute details of the case as it opened up at the Supreme Court, presents special sections of depositions. The expose by Caravan had many angles. It showed how this ramrod straight judge, who had only the courage of his conviction to assist him, was also known to be very careful about his health. As it was revealed later, he had no complications of the heart or otherwise. Secondly, the judge who succeeded him cleared the case – with a huge number of files and tons of data, which obviously he had no time to go through – in record time and promptly acquitted Shah and party. The assigning of the petition by the Chief Justice to a bench headed by Justice Arun Mishra had, earlier this month, forced Justices J Chelameswar, Ranjan Gogoi, Madan B Lokur and Kurian Joseph to publicly protest against the ‘master of the roster’. Amid reports last week of the bench of Justice Arun Mishra having recused itself from hearing the contentious petition, the case had been transferred to Court Number 1 of the Chief Justice. On this Monday, as the bench began its hearing in the case, it restrained all subordinate courts – high courts as well as trial courts – from entertaining any new petition relating to the mysterious death of Judge Loya while it also ordered that petitions related to the case currently pending in the Bombay High Court be transferred before it in the Supreme Court. The proceedings saw heated arguments between lawyers appearing for various parties in the case (senior advocate Harish Salve for the Maharashtra government, Dushyant Dave appearing for the Bombay Lawyers Association, Mukul Rohatgi and Indira Jaising representing other parties) and also with the Chief Justice. Salve, appearing for the Maharashtra government, informed the Supreme Court that a discreet inquiry was conducted by his client to probe the death of Judge Loya and four judicial officers had concluded that there was no foul play involved. Salve also asserted that the special CBI judge had died of a cardiac arrest. Salve said the report filed by the judicial officers of Maharashtra on the death establish that Judge Loya had died of a cardiac arrest. He said that some other judges and a deputy registrar had accompanied Judge Loya to the hospital on the fateful day after he complained of uneasiness and that contrary to the claims made in the media report in question, there was nothing suspicious about the death of the judge at the Nagpur hospital. However, Dushyant Dave contested the claims, stating: “There are so many things which showed that he (Judge Loya) never checked in (at the hospital mentioned by Salve)” and that the security granted to Judge Loya had been withdrawn before his death. Rohatgi objected to Dave making his submissions in the case on grounds that he “is not a party in this matter” (the court was hearing the petition filed by Tehseen Poonawalla, who Dave was earlier representing but then recused himself after differences with Poonawalla over getting the case transferred from the Court of Justice Arun Mishra). Dave and senior advocate Indira Jaising requested to be included as interveners in the case. The Bench also directed for necessary orders to be issued to the Bombay High Court for transferring the cases listed before it and its Nagpur Bench in regard to Judge Loya’s death to the Supreme Court. As Salve and Dave continued their verbal duel, Justice Khanwilkar urged the lawyers to not cast aspersions on individuals or on Amit Shah as he is not a party in the case. Jaising’s outburst was met with an immediate reprimand from Chief Justice Dipak Misra who shouted at the senior advocate, telling her that the court was hearing a petition on the need for an investigation into the suspicious death of a judge and not to examine freedom of speech and expression of the press. Jaising later apologised for her conduct. Dave started by referring to the report of the Commissioner of intelligence which says that investigation be started again. “Why was the dead body not sent to his house or his family not informed? They say that they informed his friends. It is a serious matter. The State is resisting it. Our case is that the death is suspicious,” he said. One of the respondents submitted that for the last three years nothing had happened in the matter but only after Caravan’s magazine’s “fake article”, this issue has again come to light. Justice Chandrachud asked the counsel to brief the court about contradicting facts and to produce before the court the additional documents systematically that are required to be filed. Dave demanded independent investigation and said the demand for same judge in Supreme Court was made so that pressure could be built on the court. Dave further argued by citing the contradictory issues: “On December 1 there was falsification of record by the police. Justice Loya was first taken to Dande and not taken to Lata Mangeshkar Hospital which has better facilities. This cannot be done to your own person, referring to the fact that Justice Loya was not taken to a good hospital. Why was Justice not taken to any other good hospital nearby? What happened between 4 and 6:15 am that day? During the treatment, at 6:15 am, Justice Loya was declared dead. Dave again urged the bench for an independent enquiry. Jaising asked for three documents to be produced before the Court: original register on which overwriting has been done, ECG if any performed or not and the statement of Mr Rathi. It was submitted before the court that a video recording of the father and sister has been found. The bench permits the admission of the recording. Senior counsel V Giri, reading out the facts of the case, said there is no document which establishes what happened in Dande (hospital). The document does not reveal what treatment he (Loya) underwent. He said that Page 52 of the compilation documents submitted is incomplete. That page states two injections were given but there are no details by which it can be established what treatment was carried out. He also noted that the time of the discharge of the body from the hospital differs. Discrepancies exist. Also, no verification has been done by the four doctors. He said documentary evidence would show three people were involved during the treatment. He said police constable Pankaj Thakur has been mentioned in serial No. 4. He also said that while post-mortem was conducted by doctor Kunda in Nagpur, no documentary evidence has been recorded. Which mean no statement has been taken of that doctor. He further submitted that there are no proper documents to show when he was taken (to the hospital). No statement has been taken of the doctor as (apparently) Sitapuri police has no jurisdiction over the matter. He said reference has been made of the register at Sadanpuri station. It was just that constable Pankaj Thakur handed over the reports/records along with all the belongings as the post-mortem was completed. No verification has been done as to Pankaj’s hand in this case and on the jurisdiction of Sitaputi Police Station. Also, no verification has been done as to who handed over the body to Dr Rathi. There is discrepancy in this. On completion of the postmortem, the body of the deceased is issued along with all his belongings. It was also submitted in court that on February 7, 2016, an accidental death report was made. Hence questions arise about how this was done when the documents show something else. There are also discrepancies regarding the timings in the whole act. The first document referred to is the letter sent to the Chief Justice of the high court. This document is a letter from the Criminal Intelligence Department. Dr Prakash Rathi’s statement has a significant role in the enquiry. Dr Rathi’s statement was important, but it was noted that none of the statements were verified by the State Intelligence department. Dr Rathi accompanied Justice Loya in the hospital and his statement at Dande was recorded. But Judge Loya was not taken to Dande hospital. At 6.15 am he was declared dead. Counsel Giri mentions Dr Rohan Rai, whose reports have been mentioned. None of the doctors’ statements were recorded even though they were present in the hospital. The statement of constable Pankaj Thakur was also not taken. Senior counsel Harish Salve submitted that the second statements were recorded at the Sitapuri PS, which were picked up from somewhere else. Senior counsel Dushyant Dave said that he will move an IA under Supreme Court rules to cross examine the persons who have given their statements. Also, it still remains to be answered whether ECGs were done at Dande hospital or some other hospital. Indira Jaising said no ECGs have been produced. Giri said the post-mortem report does not suggest any damage to the brain. Why no neurosurgeon was considered? At 4 pm he complained about the pain and at 6:15 am he was declared brought dead, Giri said. Judge Loya had come to attend the wedding at 4:15 pm and had complained of severe pain. He was taken to hospital where at 6:15 am doctor said Loya was brought dead. Dr Prakash Rathi’s has given two concurrent statements. He was handed over the dead body of Loya, with all his belongings. The person who handed over the dead body is also attached to Sitapudi Police Station. Accidental death is registered at Sadar police station. Registration is done at Sadar station at 4 and the body goes to the government hospital – both these events show different timings. Page 40 shows registration of death timings that requires explanation as it shows false and contradictory timings. More interestingly, Giri said, the death summary was recorded in 2016, but the death took place in 2014. Documents were collected, none of the statements were recorded. No explanation has been sought in the same case as to why the death summary was recorded in February 2016. The only doctor of Dande hospital who was examined by the police submitted that he was not present at the hospital when Loya’s body was brought in. Who brought deceased to the hospital and who were present during the whole procedure is not clear. There is nothing clear as to what exactly happened with the deceased, said Giri. How Prashant Rathi came to be there at Seetapadi Police Station at 8:30am? Justice Chandrachud pointed out to the counsel to recheck on the meaning of nakalbayaan. This was probably because the documents are majorly in Marathi. How was Prashant Rathi present at that time in Sitapudi PS? How was the death summary concluded in 2016? Giri said none of the statements were given by Prakash Rathi in 2014. No explanation was given as why the body was taken to another place when his whole family was in Mumbai. Giri requested for fresh investigations. Ina clubbed case, senior counsel Sisodia started his submission. He said the petitioner is a journalist and comes to this court to point contrasting articles in two publications, Caravan and Indian Express. He said the judges can make their own decision on the place of funeral as printed in Indian Express. He talked about serious allegations of bribery too. The allegation is that one judge was transferred and other judge was murdered because he refused a bribe of more than Rs 100 crores. Sisodia said he was not taking sides, but one should not be attacked with an allegation without proper enquiry. Indira Jaising said if Sisodia’s client didn’t want an enquiry, why had the petition been filed? Dave then alleged that Sisodia was taking the side of Amit Shah (BJP President) since he did not mention his side properly. Jaising said: “There are three pieces of evidence present in the public domain, not produced by the state of Maharashtra.” She says that the State of Maharashtra has not produced evidence to show that justice Loya actually stayed there. Referring to Page 81, entry number 47, where qa name mentioned read Prakash Babasaheb Ambedkar. Salve clarified it could be Bada Saheb, Prakash’s pet name. “Bada means youngest in Marathi,” said Justice Chandrachud. Bada Saheb is not the name of a person. Another name mentioned in the register is Milin and then another name mentioned on another page is Kulkarni. However, Justice Loya’s name is not mentioned in the register, submits Jaising. Also, why his name is not mentioned in the register? The Supreme Court bench of Chief Justice Dipak Misra and Justices A M Khanwilkar, D Y Chandrachud on Friday (February 9) continued hearing of the plea seeking independent probe into the mysterious death of Justice B G Loya who was handling the Sohrabuddin Seikh case. In Friday senior advocate Indira Jaising started her depositions. She said she would be dealing with two different sets of submissions, one dealing with facts and the other dealing with the law. She referred to Section 174 of the CrPC and emphasized on the “accident” as mentioned in the bare provision. Accidental death report raises a doubt, she submitted. She said that the provision of the sub section 3 of the relevant section has been clearly violated. She said relatives include brother, sister, children and spouse under the explanation of the section. On page 90 of the report that provision has been violated, she said. She said that accidental death has been reported in the very first police document. There has been an error in the name here. While the judge’s actual name was Brij Gopal Loya, in ten documents it has been mentioned as Brij Mohan Loya. This raises doubts, she said. According to provision of law, immediate intimation was supposed to have been given to the nearest executive magistrate (for accidental death). She said that this page immediately triggers section 174. Also, that the name of the deceased has been wrongly mentioned is a suspicious thing. She refers to Inquest Panchnama which has not been reproduced. She submitted that in page 23 (death investigation report) the inquest panchnama has not been produced. This pertains to his personal belongings. She said that there is a discrepancy even where the clothes are described. One document says brown pants and another says grey pants. A copy of the post mortem report has been given along with the missing page. She referred to time of postmortem which was done between 10:30 and 10:55am. She also submitted that on page 25 of the postmortem report this correction of the name has been referred to. The name of the police station varies too. Also, the case diary, which is most critical, has not been produced. Cause of death was coronary artery insufficiency. That was the postmortem report. Yet, this was mentioned as an accidental death. She said that the final report and inquest report does not comply with section 174 CrPC. S S Gajang was the inquiry officer. She then came to the ECG. When was it done? Why has the report not been produced, she asked. “And why was it on 2/2/2016 and not earlier?” she asked. She said that there were several reasons to suspect the inquiry. She asked why the ECG report was not produced even though it was a case of a heart attack. Was it done at the Dande or at the Medetrina hospital? That too is not clear. The statement that an ECG was done is actually as per hearsay. Statement made contradicts the statement made by a judge R R Rathi. That, so far, is the most credible statement of the case. And Rathi, who is an eye witness, has stated that ECG was not done as the machine was broken. Jaising submitted that when Justice Loya complained of chest pains, he was taken to Dande hospital. The lift was not working so he climbed the stairs. An assistant doctor attended him, who tried to do the ECG but was unsuccessful because the machine was broken. The assistant doctor gave two injections of antacids and wasted time. RR Rathi, being an eye witness says no ECG was done. However, Dr Dande, being a hearsay witness says ECG was done. After the continuous complain, Justice Loya was taken to Medetirina Hospital where he was declared dead due to heart attack. This contradictory statement raises questions. She submitted that the cause of death under Section 174, which was to be submitted, is not known. The clinical history is not known and therefore it is uncertain to tell that what was the cause of death. Statement of judge Rathi is of most important as he considers the death of Loya as unfortunate. The judge’s sister, who is a doctor has gone on record saying he had no history of cardiac problems. She has said that has had a clean clinical history. Also, no doctor at either hospital had recorded any history of the patient. The Supreme Court bench of Chief Justice Dipak Misra and Justices A M Khanwilkar, D Y Chandrachud on Monday (February 12) continued hearing the plea seeking independent probe into the mysterious death of Justice B G Loya who was handling the Sohrabuddin Seikh case. In Monday senior advocate Mukul Rohatgi, representing the State of Maharashtra, did his submissions in defence. He said the copies of the Interlocutory Application (IA) has not been served. At that senior counsel Dushyant Dave said even if the copies had not been served to him, he managed to get that. He even said that the copies of the original reports have not been received by him as the respondents are saying that the registry didn’t allow to get this. Rohatgi said that everybody filed PILs, and there are some rules and regulations related to this. Rohatgi then started reading the 2010 judgment defining what a PIL is. He said the court should be prima facie fully satisfied with the petition and consider if that litigation would help the public at large. He said: :The article came (was published) on November 21, 2017. Nobody had done anything in three years; neither any party nor these PIL petitioners. Actually there is nothing to do. The article is baseless. He brought in the other angle, saying: “This is just for politics… There is nothing behind this. None on the other side read those statements of the Additional District Judges who were there at the time of incident. Judges who were eyewitnesses at that time, till other day, when the ambulance came. We have statements of those judges who were there like shadow. Rohtagi said that from November 30, or 29th night, the judges were with the deceased till the afternoon of 1st. “It is irrelevant to talk about sadar, why three judges stayed in one room. All is irrelevant. The only relevant part is the statements of those judges. The judges of the High Court including the Chief Justice, when informed early morning reached the second hospital within half an hour. Rohatgi then referred to writ petition 19 argued by senior counsel V Giri. He said: “I will show the content and affidavit in support.” He was dealing with writ petition 19, submitted by Senior Counsel Giri. He said: “This completely came after a nonsense. They don’t know what is ‘public at large’. Just woke up and filed a three-page petition, based on Indian Express, NDTV and Caravan. Every ground has been arrived at by the media. The allegations are reckless. “If somebody cares to read the facts he would have understood why the second hospital directed a postmortem. Because he arrived dead. Rohatgi said: “Paragraph 1 showed that the petitioners are a body of advocates who practice in the High Court, but there is nothing about who their office bearers are and other things. Page 7 talks about the tactics about a particular event. It shows (this has) nothing to do with the unfortunate death of a Judge. And that is why the motive is different.” He said there was an ulterior motive in all this. Justice Khanwilkar commented that the association should have been identified and detailed. For this Dave apologised. The judgment called Kusumlata was referred to. In that case the long sentence given is just for personal gain. Nothing is related to the death. He reiterates that the PIL was not for the benefit of the judiciary. A newspaper report cannot not be relied upon without verifying the facts. He then referred to a number of judgments and then asked the court to examine on that canvas. The scope of this enquiry report is whether a judge died out of medical ailment or not? The question is not about proper treatment or compensation. The question is, did he die of a medical ailment or of a medical condition?” Rohatgi submitted. They we’re summoned at 4am; “Upon the complain by justice Loya at 4 am, everyone assembled. He was declared brought dead, that was why eth second hospital asked for a postmortem. It is very easy to create discrepancies. The judge was not left alone, even for a second,” Rohatgi submitted. “Why they slept in one room? There can be no explanation for this, but the point is they used one room. Justice Loya was uncomfortable and hence he woke up. Other local judges were called upon. Justice Loya was taken to Dande hospital. Then the dead body was taken to the government hospital. Then he said: “At Medetirina at 6am, the doctor comes out and informs about the death of justice Loya. At 10, the dead body was given for postmortem. He said there was no reason to consider the judges’ testimony as suspicious. The Supreme Court bench of Chief Justice Dipak Misra and Justices A M Khanwilkar, D Y Chandrachud on Monday (February 12) continued hearing the plea seeking independent probe into the mysterious death of Justice B G Loya who was handling the Sohrabuddin Seikh fake encounter killing case. In Monday (February 19) senior advocate Mukul Rohatgi, representing the State of Maharashtra, continued his defence. He said that the whole of 30th, they (the judges) stayed in Nagpur and moved to Ravi Bhawan that night. At night the judge (Loya) had complained of distress and was rushed to Dande hospital where they spent 15-20 minutes and an ECG was taken. Waikar also reaches there, continued Rohatgi. “There they met Dr Pankaj Harkutt who is a cardiologist and are advised to go to Medetirina which is 2-2.5 km from there. Unfortunately at the next hospital he was declared “brought dead”, hence he did not die in Medetirina. “If we had to discount everything what the four judges said then we have the postmortem report. The postmortem was done in a government hospital and then the body was taken to Ghategaon,” he said. Also, the report talks about the jurisdiction of the police station. The main centre for the postmortem centre is Sitamarhi. Then the counsel submitted various angles of the reason why any particular hospital was chosen. At the bottom of the page is the nakal bayan (or witness) who is Prashant Rathi. The time of death is 16:00 hours. Whereas in item 1, the time of death was 4:00 hours. Page 59A was referred to, containing the statement of the father of Judge Loya. He explained: “Maharashtra is divided into ten commissionarates and 67 districts.” He place before the court a judgment in which in Maharashtra special powers are given to ACPs to conduct the investigation. He submitted that the investigation was carried out properly and there was nothing suspicious about the natural death of the Judge Loya which was only due to heart attack. He again raised the question as to why a petition has been file in the Supreme Court after a long time. He submitted that there was nothing wrong in procedure as well, because as per the Bombay police manual of 1959 a police officer is authorised to conduct investigation in the case of suspicious deaths. He said that it was necessary that documents are brought under oath. “This is not a politically motivated matter,” he said. The Supreme Court bench of Chief Justice Dipak Misra and Justices A M Khanwilkar, D Y Chandrachud on Monday (March 5) continued hearing the plea seeking independent probe into the mysterious death of Justice B G Loya who was handling the Sohrabuddin Seikh fake encounter killing case in which BJP President Amit Shah has been an accused. Senior advocate Dushyant Dave continued his defence. He said the collegium judges of the high court went to the press and said that Judge Loya died of a heart attack. “Who has the courage to go against the serving judges’ statements? Who asked them to go to the media and disclose the reasons of the death? This is very surprising. Filing of affidavits will ensure accountability,” Dave said. He submitted the report covered by Carvan magazine on Judge Loya’s death. He read out the report to the court. He said: The CBI went before the Bombay High Court which was while listening to a related matter and asked for an adjournment for no reason and on a later date the bench is changed. What is even happening?” asked Dave. He submitted that live recording of father and sister which the journalist had recorded for eight months in which they have made serious allegations against the Chief Justice of the high court. “Now they deny those recordings,” he said.